The key to a great mobile mechanic service is not only industry leading service work but also convenience. We take the fuss and hassle out of getting your car repaired or trying to keep up with its regular service history by providing vehicle owners the flexibility of choosing the time and place of their vehicle work. Around your local region Lubemobile mechanics have typically attended to Toyota, Holden and Mazda. Prepared and experienced to take on all vehicle types, recent services around you have been typically Holden, Great Wall and Jaguar. Parts needed are always of the highest quality and are sourced fast for efficient repairs carried out on time. Mechanics have access to parts and spares like fan, battery replacement and starter fuse on site. Very professional mechanic with excellent customer service skills. Excellent service overall. Will continue to use this service. Very impressed with the service and extra effort Rob went to to repair my tyre rather than replace it. Will use you again for my next car service. 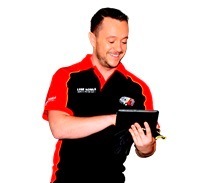 Does your local mechanic in Buderim do house calls? We do. We are Australia’s #1 fleet of completely mobile mechanics who are local to everywhere including in Buderim, Noosaville and Sippy Downs. We service and repair your vehicle in whatever location that you specify. So you can have your car serviced wherever you happen to be like the office, your home address, or anywhere else that you are. Our mechanics have serviced over 703 vehicles for owners at their chosen specified time throughout the last year. Our mechanics have commonly worked on Log book servicing in your local area and will arrive fully equipped to carry out a range of mechanical service work and repairs like clutch adjustment and blown head gasket replacement. Our fleet even includes specialist tyre mechanics available for on site tyre replacement. If you own a Citroen or Jeep, or whatever you are currently driving, you can rely on a completely mobile mechanic available at the time that suits you best to carry out industry leading repairs and service work to your vehicle wherever you need us to be. Happy clients have already given us over 27 positive reviews right across Australia. 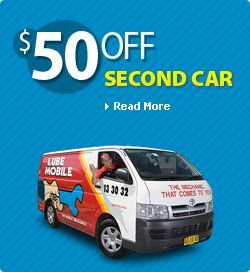 Find out how convenient repairs and service work can be with one of the 7 mobile mechanic available in Sunshine Coast where and when you need them with Lubemobile.